Custom wood stand up paddle boards —You could call it old school—in a new way. Humans have long embraced wood for its buoyant and hardy characteristics, so it stands to reason that SUP manufacturers and do-it-yourselfers would look to this traditional material to create beautiful—and beautifully functional—boards. These boards do not have foam cores or veneer; they’re solid wood with a hollow core. Depending on the manufacturer, these boards will vary in rib and spine structure on the inside, the core structure that gives these boards stability, support, and strength. Custom wood stand up paddle boards are more ding resistant than other boards thanks to the thickness of the wood as compared to thin veneer covering a foam core board. The species of wood used will also provide some measure of resistance as to overall wear and tear. And bonus: these boards can be just as lightweight as their foam core cousins. • Handling: they have a distinctive flexibility compared to foam core hard boards. • Feel: they simply feel more alive, particularly in the surf. 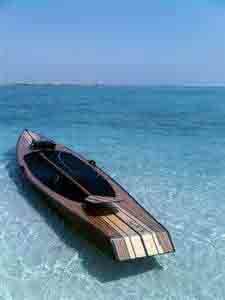 • Appearance: a custom wood stand up paddle board can be strikingly beautiful. Stand Up Paddle Board Construction from simon winograd on Vimeo. 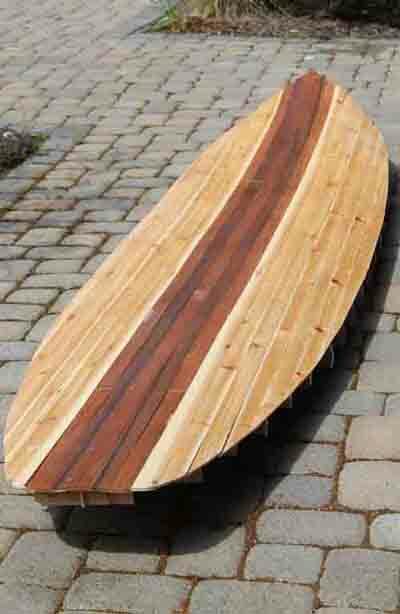 Why build a custom wood stand up paddle board? Before automation and assembly lines, there were builders in wood. There is satisfaction in crafting something using traditional materials, especially when you embrace the challenge to build something you will use and love. By building it yourself, you can customize your ride for a uniquely personal experience from start to finish—on the water! Carve Industries Nosh from Carve on Vimeo. You can have a board built to your specifications with companies such as Barefoot Boards http://barefoot-boards.com, you can purchase a predesigned board, you can do-it-yourself with a pre-cut kit, or take a course with an expert to build your board. See links, below. Note: to match a paddle to your custom wood stand up paddle board, follow this link. 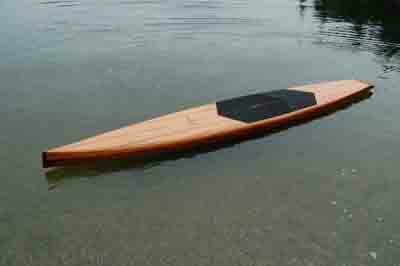 From North Vancouver, British Columbia, a hand crafted stand up paddle board by Kelvin Humenny. • kits include premium nonskid deck pads, breather tubes, custom laminated skegs, and manual. 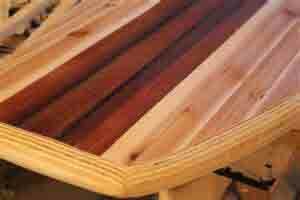 DESCRIPTION: Olympia, Washinton, U.S. - sign up for a beginner class on how to build your own wood stand up paddle board with a supplied farm kit.